3D CAD is essential to be able to design and develop excellent products. Our design engineers are highly experienced and advanced users of the latest 3d cad software. We can take a CAD model, and with up to date 3D printing technology, turn it into a physical part, for development purposes or as part of a prototype. 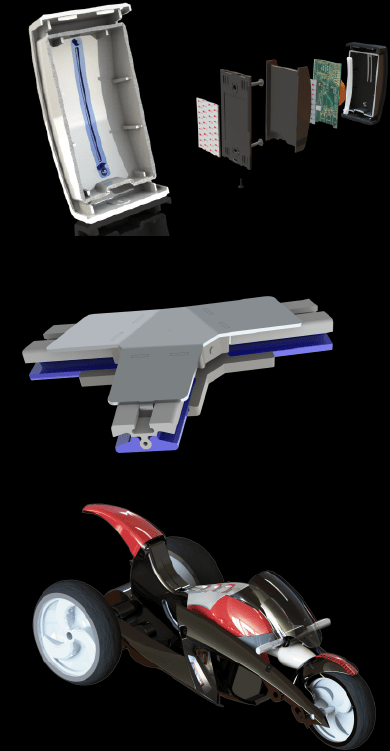 Once a CAD model is together for a part/product, we can output this to our trusted manufacturers to make it a reality. We use powerful rendering software to produce photo realistic visuals of your product ahead of manufacture. We use specialist software to discover valuable information about a part or product including volumes, mass properties, centres of gravity and much more…..